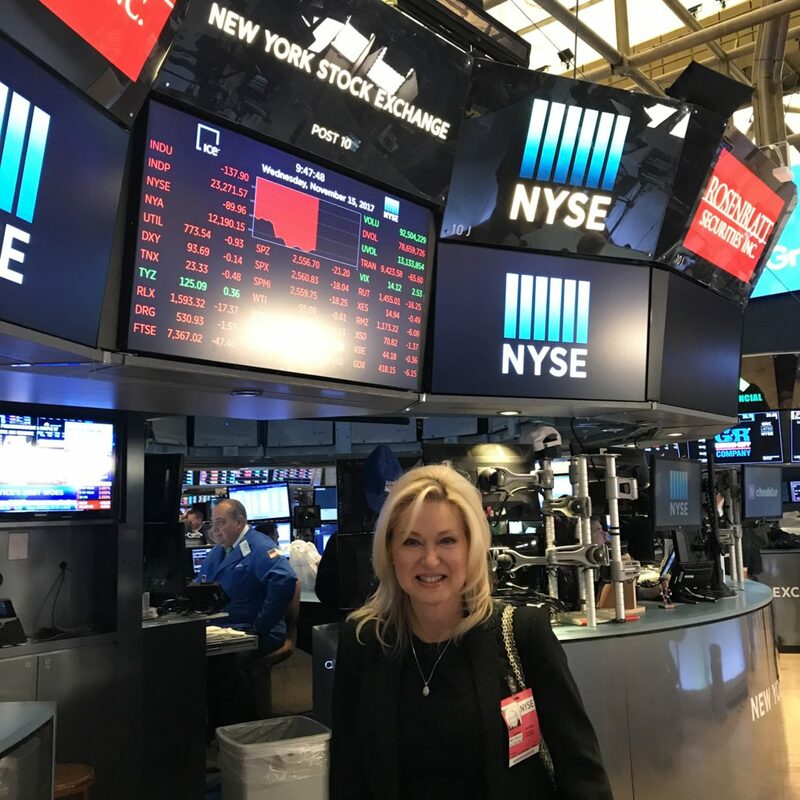 Mayor Crombie on the floor of the New York Stock Exchange. $307 billion – that’s the amount of goods and services the United States buys from Canada every year. That’s more than the amount they buy from the UK, Japan, and China combined. 51% – the percentage of the total foreign direct investment in Canada from the United States. Needless to say, the American market is vital to our growth as a country. Canada does more business with the United States than any other country. With this in mind, between November 14-16, I joined Mayors Tory (Toronto) and Jeffrey (Brampton), as well as Regional Chairs Emerson (York) and Anderson (Durham) for an investment mission to New York City. Along with representatives from Toronto Global, we took part in meetings with American companies looking to expand to Canada, as well as hosted a reception for over 50 companies interested in what the GTA has to offer. We did meetings together, as well as hosted our own city-specific meetings. Mississauga is a member of an organization called Toronto Global (TO Global). TO Global has a mandate to represent the GTA municipalities internationally to promote our region, each individual municipality, and ultimately attract new international investment to our region. As a region, the GTA is home to almost 6.5 million people and is growing rapidly. In fact, if the GTA were considered one city, it would be the 4th largest in North America. We believe there is strength in numbers and that’s why we are working with Toronto Global to promote the GTA to the world. I started my meetings on November 14 by meeting with Ryan, a global consulting firm specializing mainly in taxation. They advise clients on domestic and international taxation issues and assist them with finding the right location for their clients to invest. Ryan’s Canadian headquarters is in Mississauga. They have 2,100 employees, over 14,000 clients and operate in 45 countries around the world, serving many Global 5000 companies. Paul strongly suggested that our diversity and highly-skilled and talented workforce are among our biggest assets when speaking with American businesses looking to invest abroad. On the morning of November 16, I joined Mayor Tory on the floor of the New York Stock Exchange to do a live media interview on Cheddar discussing the value proposition of the GTA and Mississauga in particular. We also discussed at length the recent Toronto Global Amazon HQ2 bid and why we believe the GTA is one of the premier destinations in North America for Amazon to expand. This interview was a first for a Mississauga Mayor and the gravity of the venue – the NYSE – was not lost on me. Following the NYSE media interview, we travelled to the offices of the Canadian Consul General to New York. I was pleased to meet with the Deputy Consul General, Mr. Khawar Nasim and Caroline Desrochers, Head of Foreign Policy and Diplomacy Services. Whenever I enter a new market, I like to meet with the government of Canada and Ontario diplomatic and trade representatives to discuss the political and business climate, as well as the messages I should use in my business meetings that will resonate most. We had a great discussion and according to the Deputy CG and Ms. Desrochers messages that resonate most with our American audience are our commitment to embracing diversity and being inclusive; the low cost of doing business in Canada when healthcare costs and lower corporate tax rate (12 per cent lower on average) are factored in; and our talented workforce. Mississauga already employs these messages in our conversations with business. This was the same message delivered by the Consul General later in the afternoon by the Consul General, Phyllis Yaffe. She spoke at length about the importance of the relationship between Canada and the United States, but also about the need for the GTA to increase our visibility and prominence in the US market. While we may only be a 1 hour plane ride from New York, we are not yet top of mind for businesses looking to invest internationally. Working with Phyllis and her office, Toronto Global and our City will work to change this moving forward. Our final event of the day was with Toronto Global at a reception they hosted for executives of companies looking to invest in Canada. The event featured the three Mayors, as well as two regional chairs. Dan Doctorov of Sidewalk Labs was interviewed as part the event. He extolled the virtues of the GTA and why his company has chosen Toronto and the GTA as their new home. On November 16, I was honoured to join Gravitas Securities and Philoro Holding GmbH for a tour of the New York Stock Exchange and to watch the opening bell. Philoro is a precious metals dealer in the DACH Region (Germany, Austria, Switzerland) and is looking for a North American location. I spoke at length about Mississauga’s value position and why they should locate their business in Mississauga. I will continue to build this relationship and advocate for their investment in our city. The NYC investment mission was both worthwhile and instructive. We too often take for granted the US market and our tight knit relationship with our neighbours to the south. Canada and the GTA have a lot to offer US companies, especially in the current geo-political environment. Moving forward, we will put a greater emphasis on building name recognition in the US market, in particular the New York region. This entry was posted in Carousel News, Innovation & Entrepreneurship Taskforce, Mississauga International Partnership Program, News, The Crombie Column. Bookmark the permalink.